Thursday, August 9th marked the four-year anniversary of the police shooting death of unarmed black teenager Michael Brown in Ferguson, Missouri. 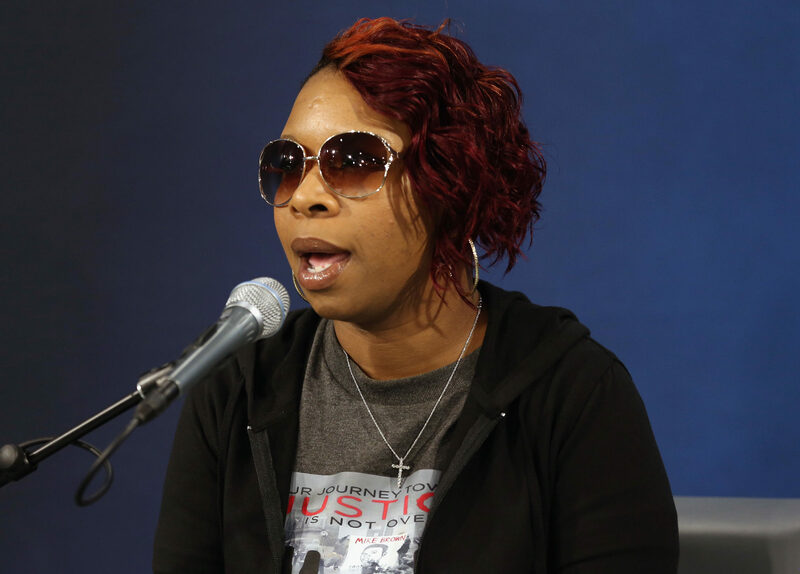 And on Friday, August 10th, Brown’s mom, Lezley McSpadden, announced her candidacy for Ferguson City Council in a speech near the very spot where he was gunned down by white police officer Darren Wilson. Brown’s tragic death sparked a series of protests in both the St. Louis suburb of Ferguson and around the country. It’s also recognized as one of the catalysts behind Black Lives Matter, an activist movement dedicated to fighting violence and systemic racism against black people in America. McSpadden herself is part of “Mothers of the Movement,” a group of women whose black children have died at the hands of police or by gun violence. In a speech announcing her bid, McSpadden fought back tears as she recalled the fateful day her son died. "Almost four years ago to this day, I ran down this very street," McSpadden said Friday, NBC News reports. "And my son was covered in a sheet. It broke me, you know? Brought me down to my knees and made me feel crippled—as if I could do nothing else anymore from that moment. But as time went on, and I stayed surrounded by support and motivational people who knew what happened was wrong, and didn't give up the fight, I learned to walk again. And this is one of my first steps: running for Ferguson City Council of 2019." 4 years ago yesterday, #MikeBrown was shot and killed by a Ferguson Police Officer. His murder revitalized a movement. Lezley McSpadden’s main policy issues will be community policing, economic equality, and access to healthcare. McSpadden’s announcement of her candidacy came days after St. Louis County prosecutor Robert McCulloch—who faced intense backlash when he declined to file charges against Wilson after an investigation into Brown’s death—lost Tuesday’s Democratic primary to current Ferguson Councilman Wesley Bell. A record number of women across the U.S. have announced their candidacies for political office in 2018. Lezley McSpadden now counts herself among this inspiring group. "I know a lot of people may ask what makes me qualified," McSpadden continued. "But I'll tell you: If a mother had to watch her son lay in the street for four and a half hours, and watch a community be completely disrespected by elected officials that we elected, what would you do? You would stand up, and you would fight." Watch Lezley McSpadden’s inspiring speech below. We’re proud to stand with McSpadden and fight alongside her.